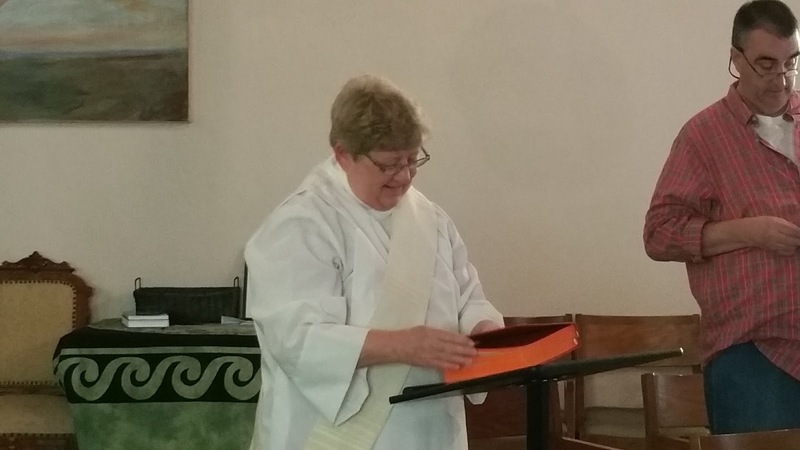 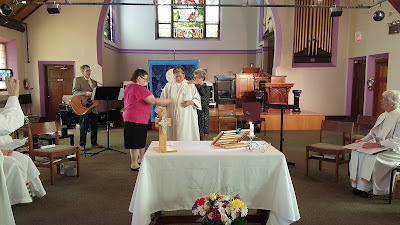 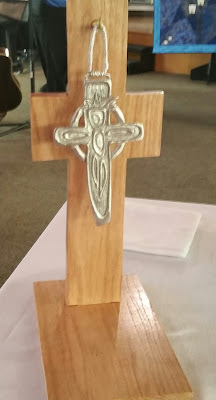 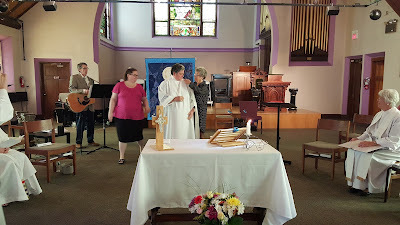 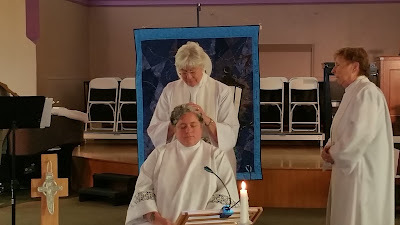 We rejoice today as we ordain Kim Turcotte a deacon with the Association of Roman Catholic Women Priests. 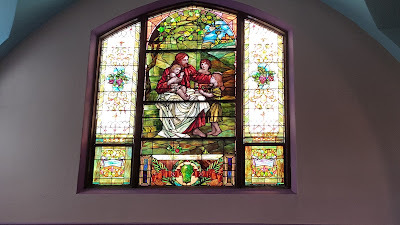 The Gospel of John portrays a close relationship between Mary of Magdala and Jesus. 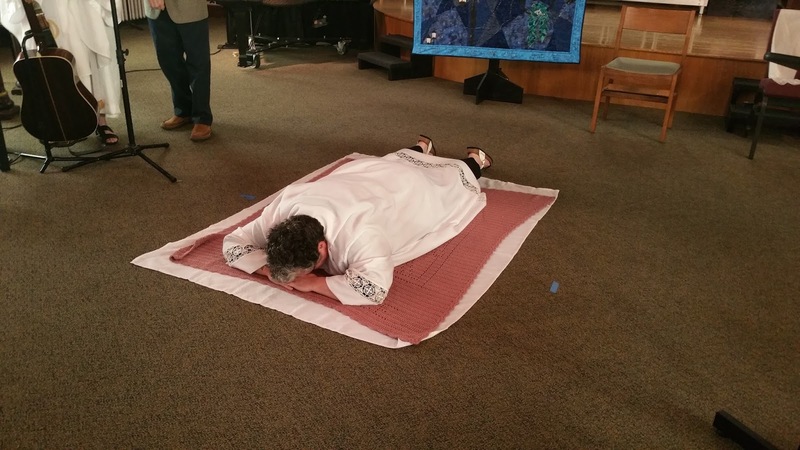 When the other disciples come and go, Mary stays nearby, weeping, searching for clues of Jesus whereabouts. 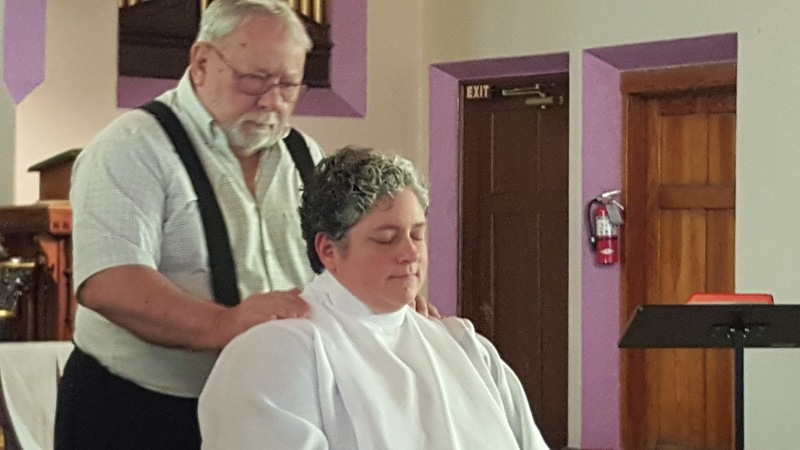 Her grief is soul-wrenching. 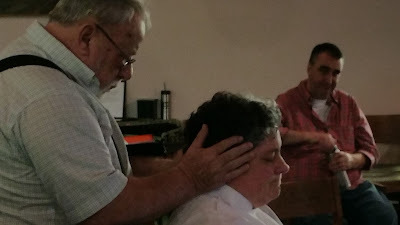 She has listened to his teaching and experienced his compassionate love. This type of deep friendship suggests a break with the social conventions of the time. 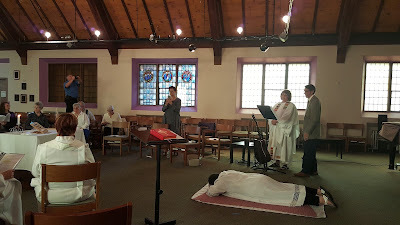 Jesus treats Mary of Magdala as an equal among the male disciples. 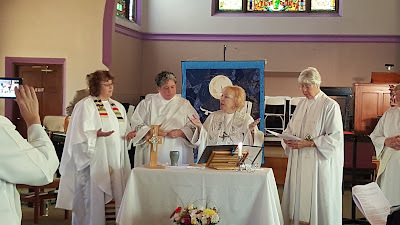 In an age where a woman’s word was suspect, the Risen Christ calls her to be the apostle to the apostles to proclaim the good news of the Resurrection, the central belief of Christianity. 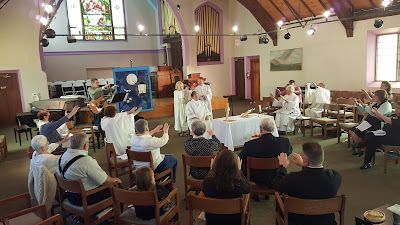 In Romans 16, St. Paul praises Junia and Andronicus, as “outstanding apostles” who were in Christ before he was. 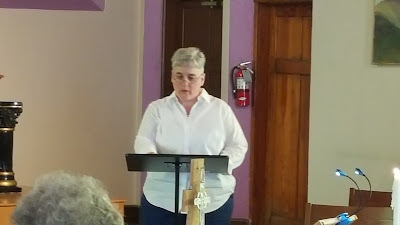 Since Paul, Junia and Andronicus were apostles, there were more than 12 apostles and Junia was a woman apostle. 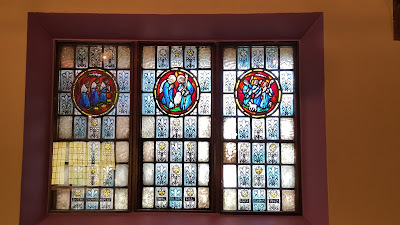 The “twelve” was a symbolic number referring to the twelve tribes of Israel. 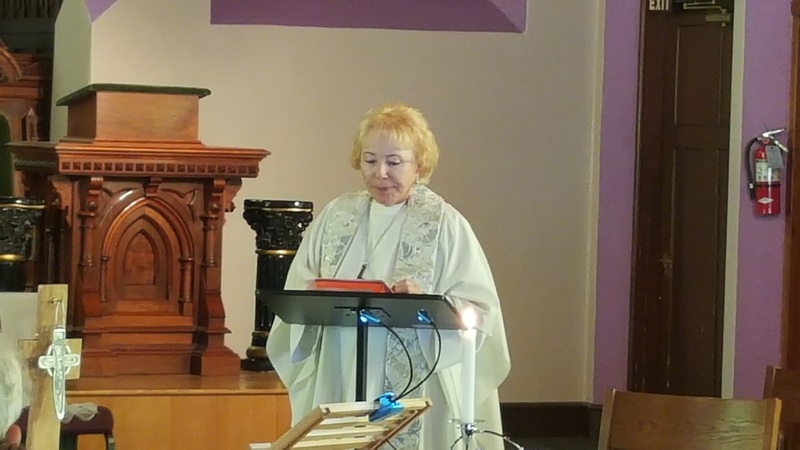 In an ancient Coptic Christian Scripture, “Pistis Sophia”, written in the Second Century, Jesus chooses Mary of Magdala and John to “be on my right and on my left.” Mary’s prominence is reflected throughout the document. She asks 39 out of 46 questions and participates in providing interpretation of this document. 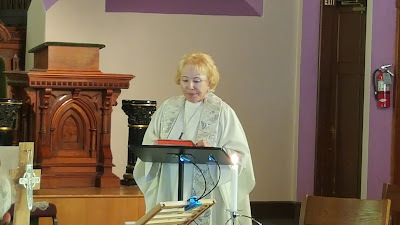 Peter expresses resentment toward her throughout the work: “My Lord we shall not be able to endure this woman, for she takes our opportunity and she has not let any of us speak and takes all the time herself.” Mary objects to Peter’s efforts to intimidate her and charges that “he hates the female race.” I ask you: two thousand years later, what has changed? 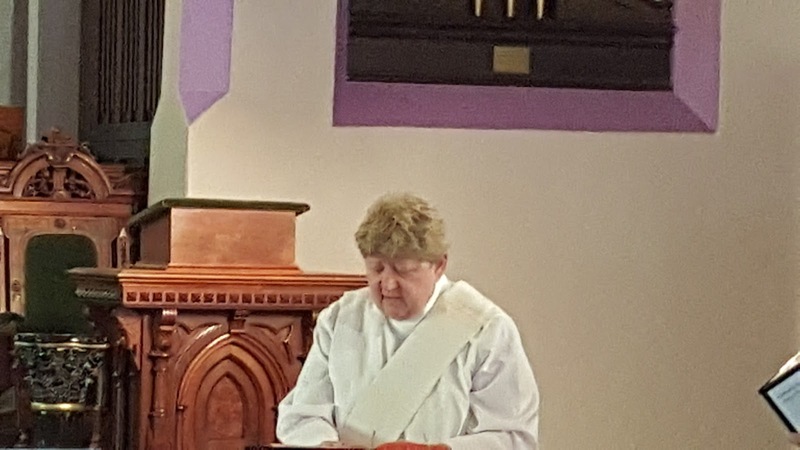 In addition, a Pope and early church father also affirmed women as apostles. So let’s be clear, women were apostles- according to the Risen Christ, St. Paul, Church Fathers and a pope. Therefore, the church should follow the example of Jesus and treat women as equals in every area of our church’s life today including decision making and ordination! Scholars, like Gary Macy, in The Hidden History of Women's Ordination, present scholarly evidence of women in Holy Orders during the first twelve hundred years of the church's history. 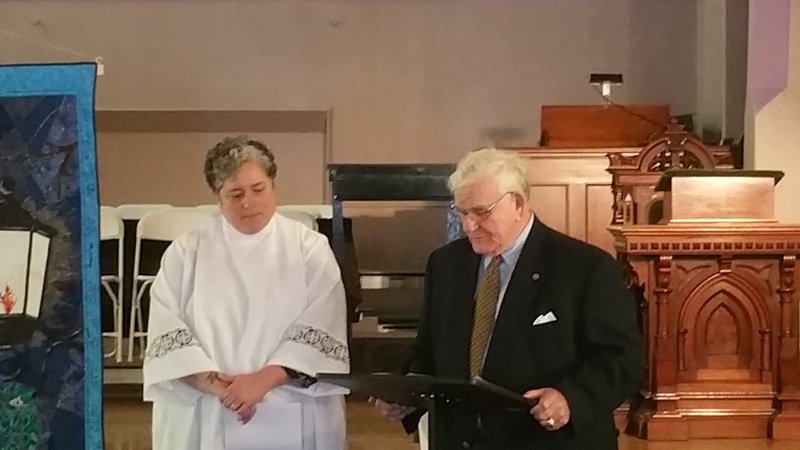 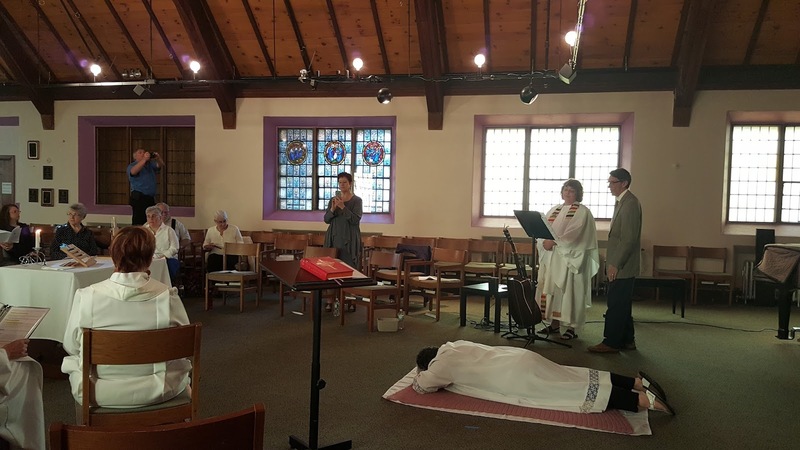 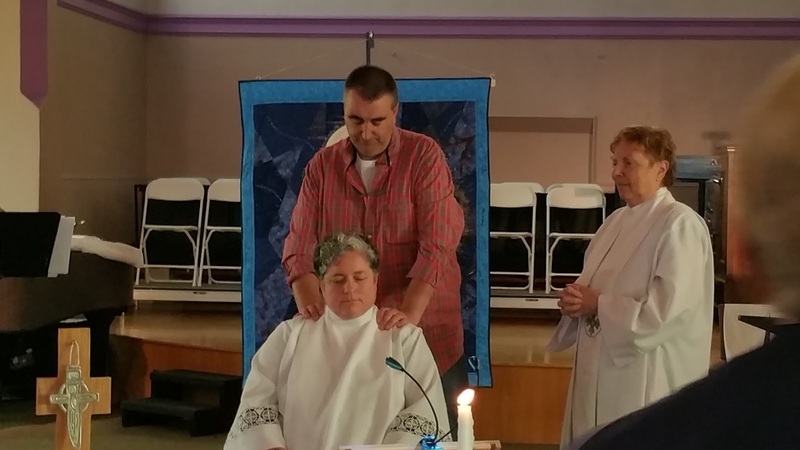 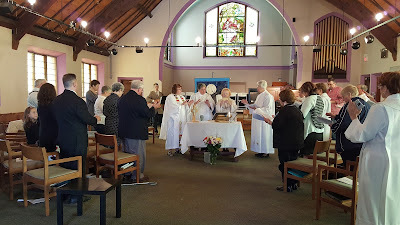 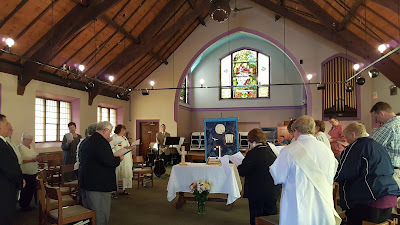 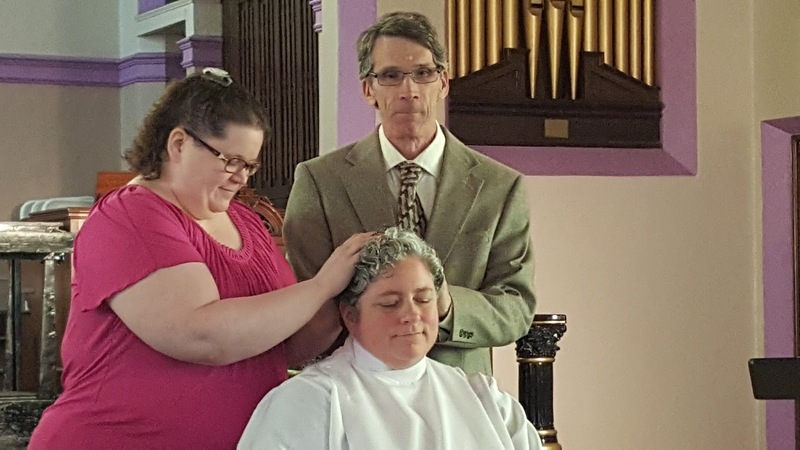 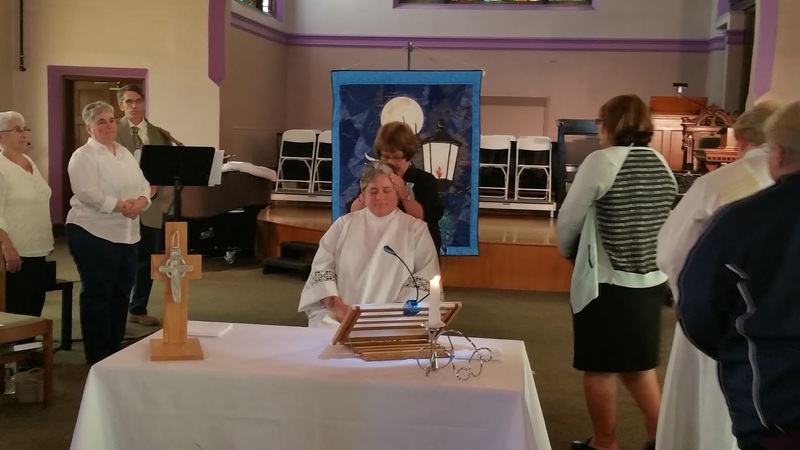 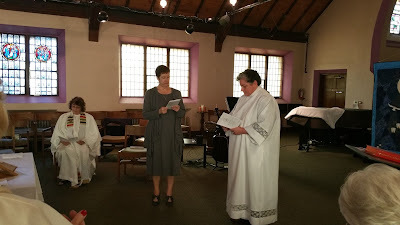 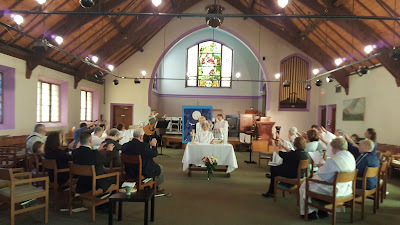 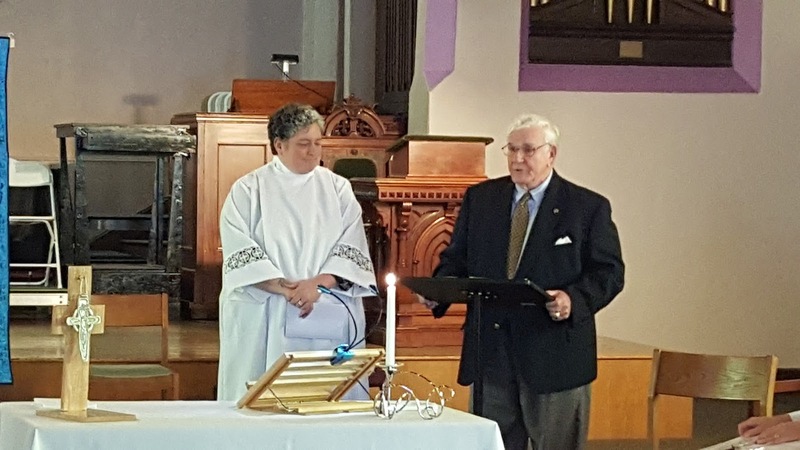 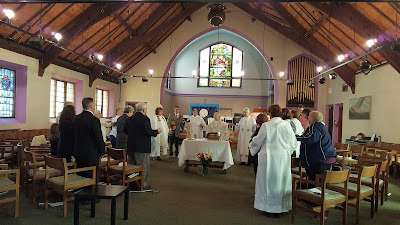 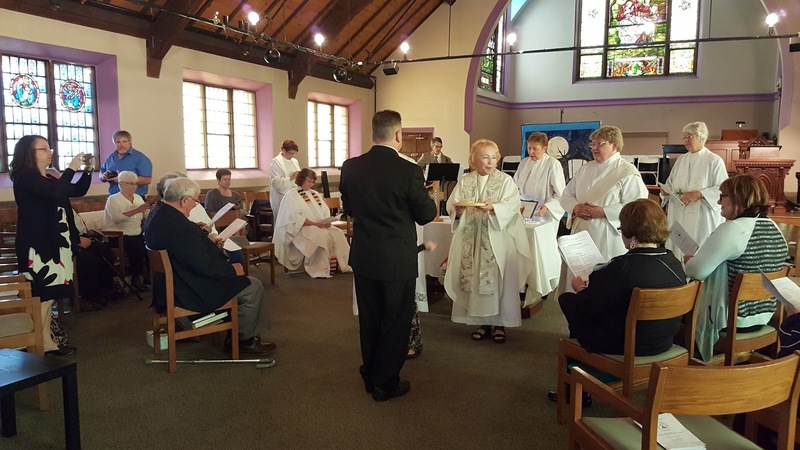 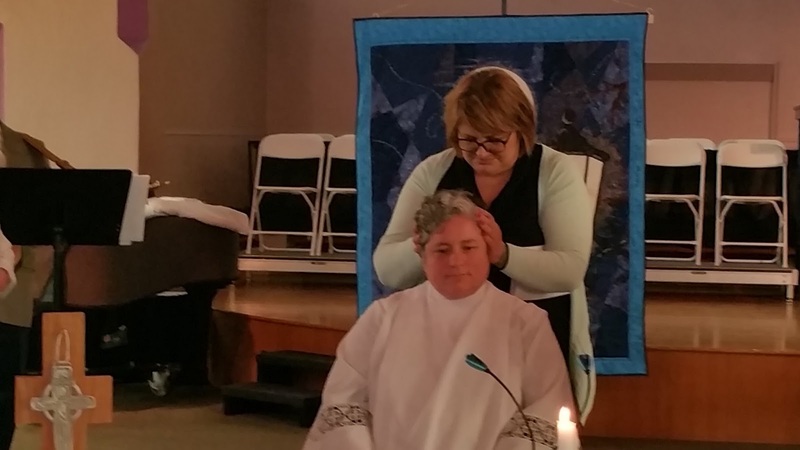 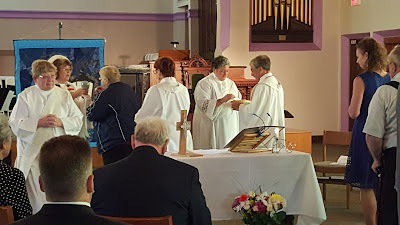 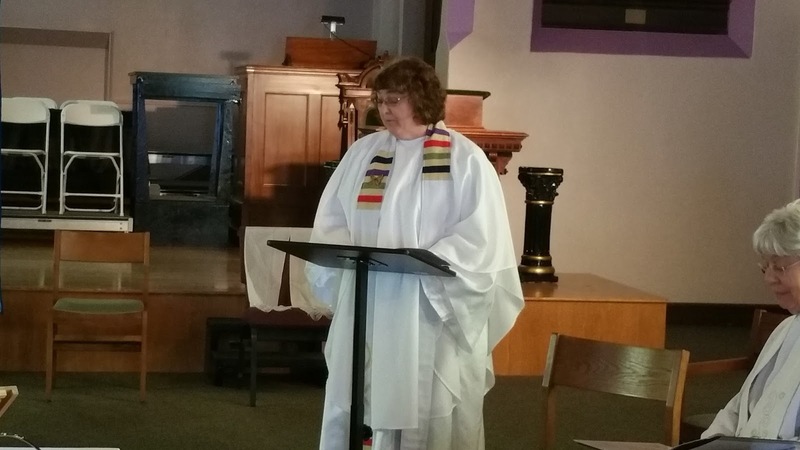 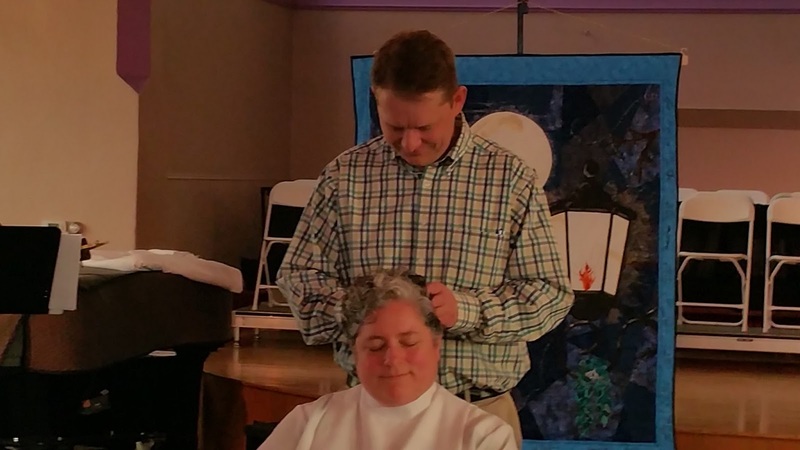 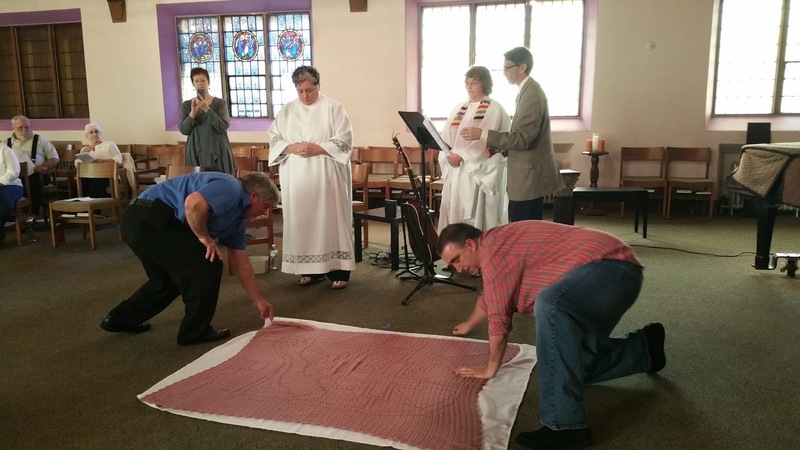 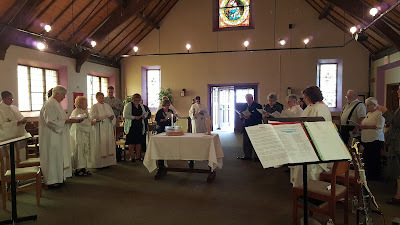 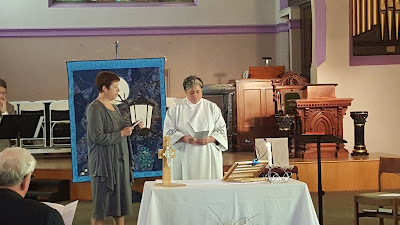 Women and men were ordained to a specific service role within the community. 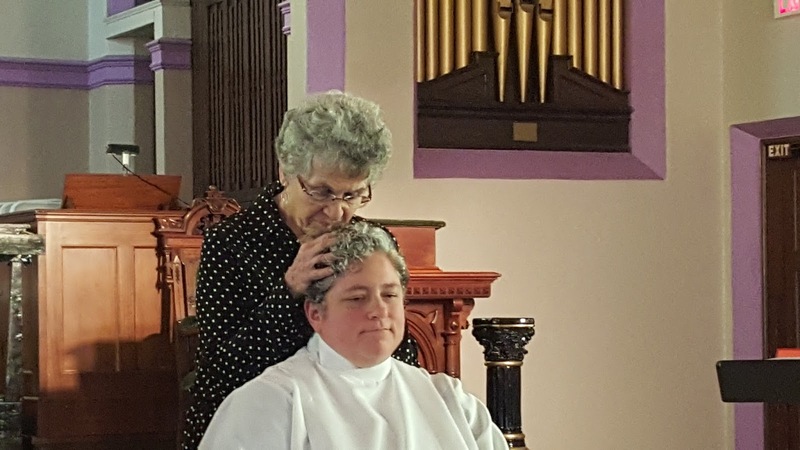 One could say that the fact that women were ordained in our church tradition is the church's best kept secret, but NO MORE!! 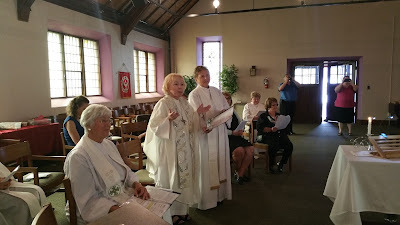 In obedience to the Gospel of Jesus women priests are disobeying an unjust law that discriminates against women. 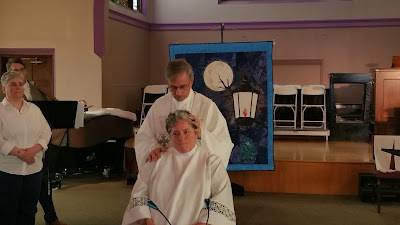 Canon 1024 states that only a baptized male may receive Holy Orders. This is in contradiction to Canon 849 which states that Baptism is the gateway to the sacraments which includes Holy Orders. Baptism is the foundation for the validity of Holy Orders not male gender. 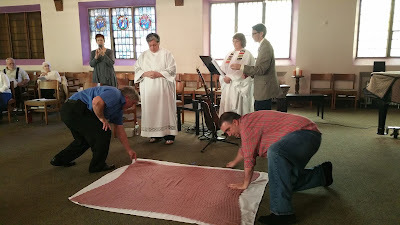 In other words, the sacrament of Baptism makes us all- equals in Christ. 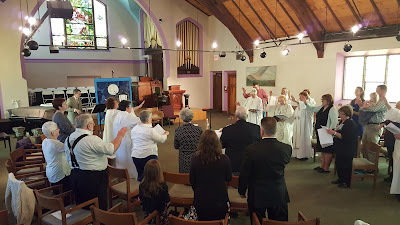 St. Paul taught, "As many of you as were baptized into Christ have clothed yourselves with Christ. 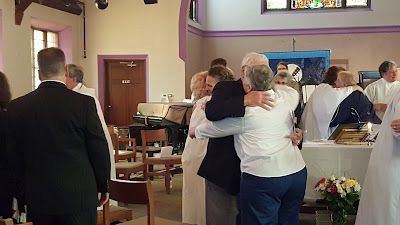 There is no longer Jew or Greek, there no longer servant or free, there is no longer male and female; for all of you are one in Christ Jesus" (Galatians 3:28). 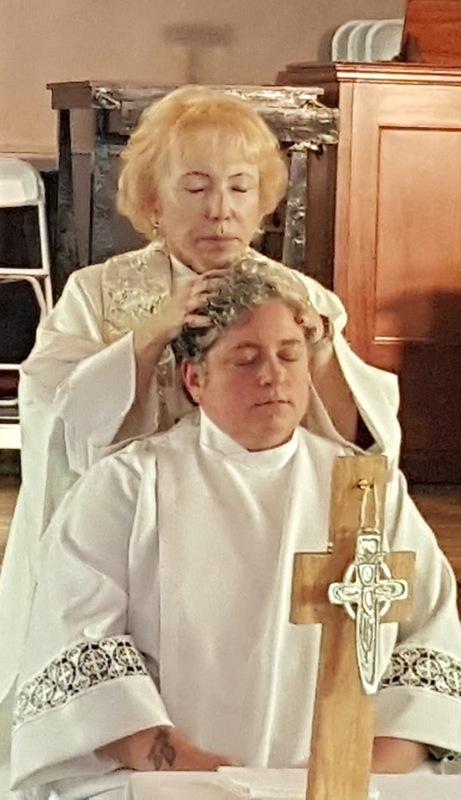 For 1200 years some popes, bishops and scholars accepted women's ordination as equal to men's. 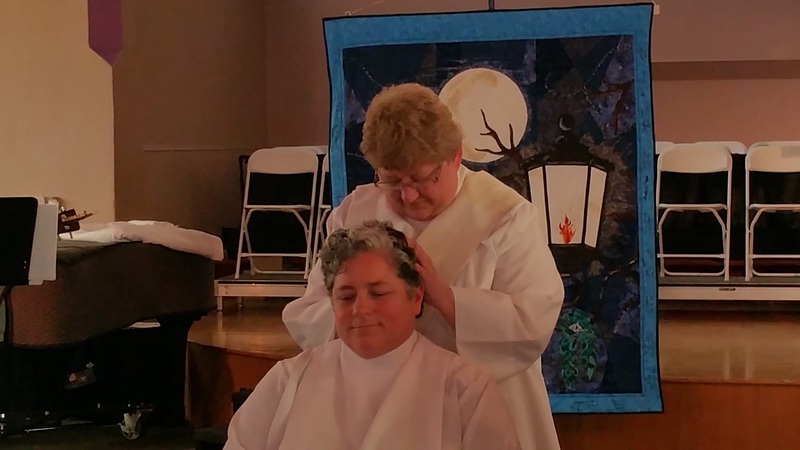 In the 10th century Bishop Atto of Vercelli wrote about the early church practice of ordaining women to preside over the churches because of the great need. 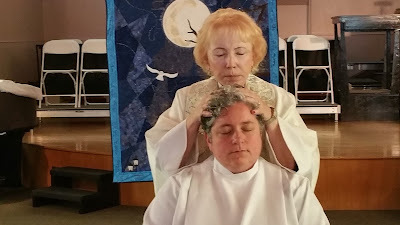 In 1976 The Pontifical Biblical Commission concluded that there is no biblical reason to prohibit women's ordination. 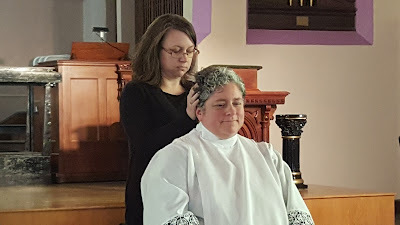 Pope John Paul II contradicted the early tradition of women in priestly ministry when he wrote: "The church has no authority whatsoever to confer priestly ordination on women and ...this judgment is to be definitively held by all the Church's faithful." However, Pope John Paul II did not consult the people of God (including the theologians and the bishops) before issuing this decree. 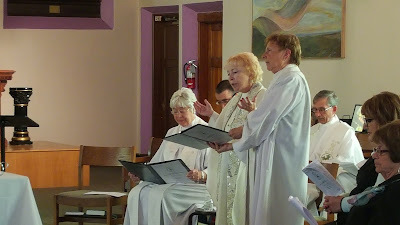 The church teaches that infallible teaching must reflect the sense of the faithful. 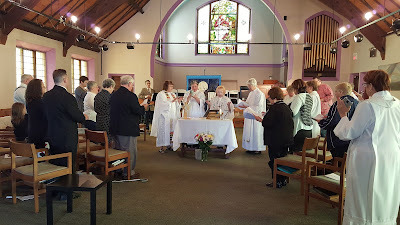 Therefore, this teaching is not infallible because it does not reflect the sensus fidelium, the faith of the believing community. 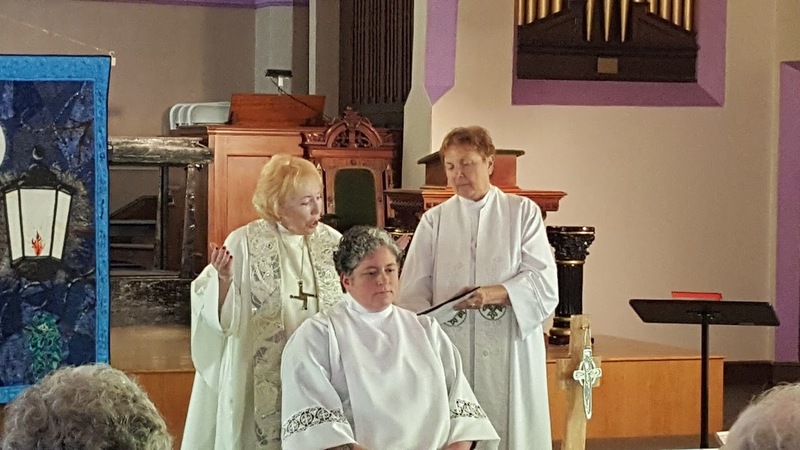 In fact, according to recent surveys about 70 percent of Catholics and 80 percent of Catholic theologians support women's ordination, including some of the world's bishops. 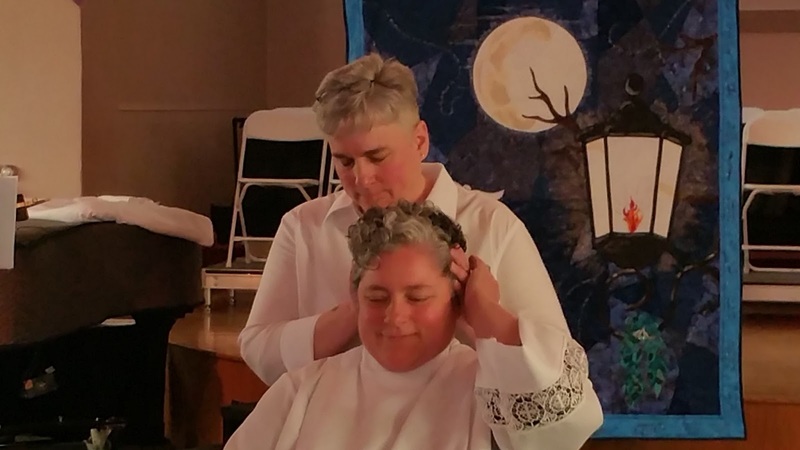 The church cannot continue to discriminate against women and blame God for it. Women and men are created in God's image and both may represent Christ as priests. 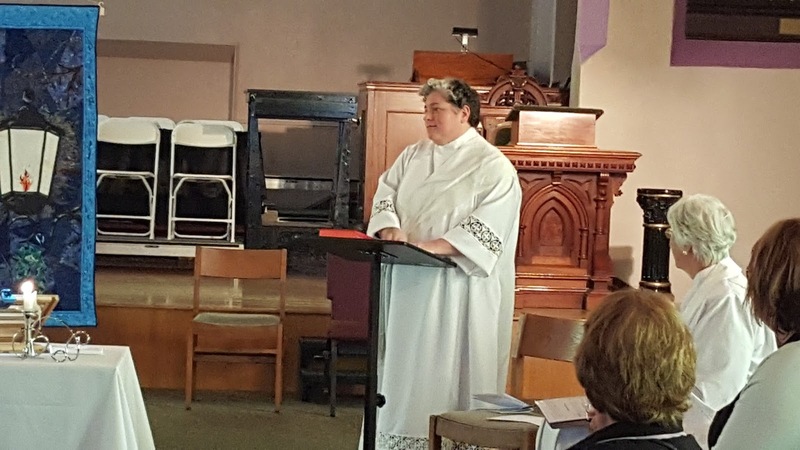 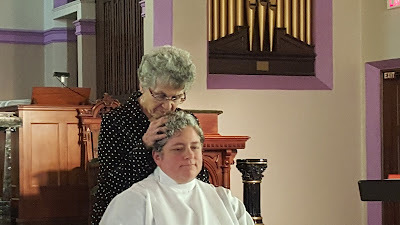 Women as priests remind us that women are equal symbols of the holy and that the identity of priests should reflect the experiences and spiritual authority of women. 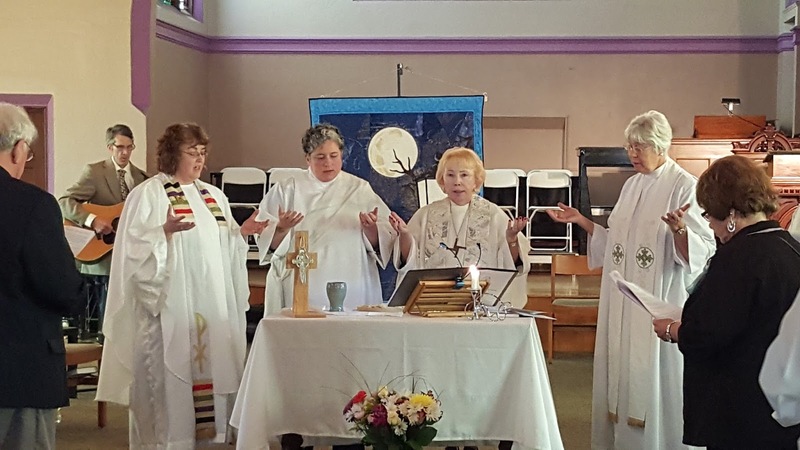 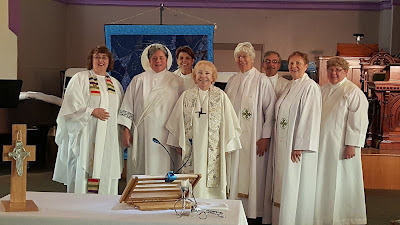 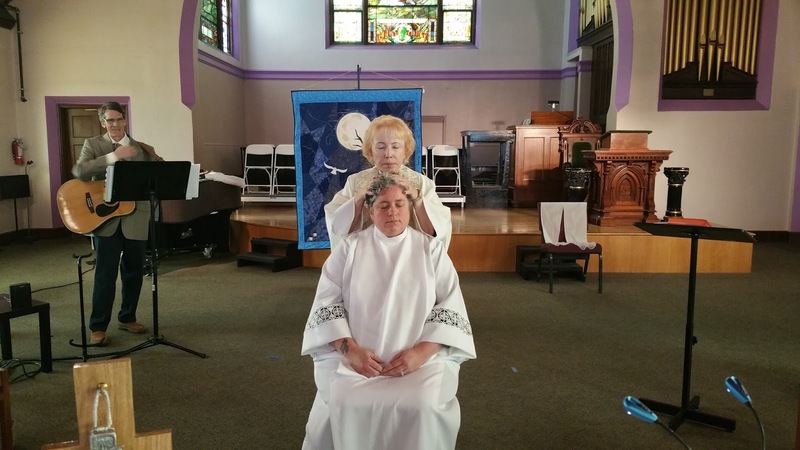 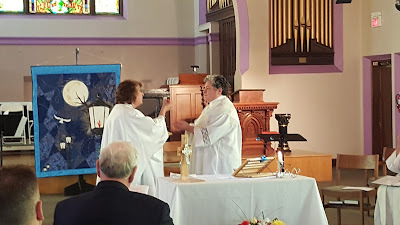 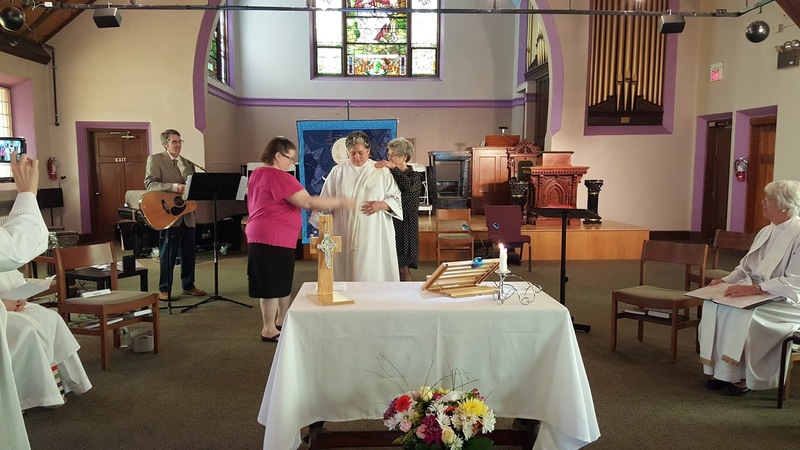 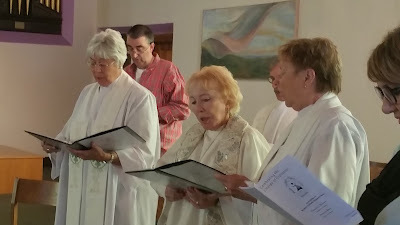 From the first ordination on the Danube of seven women, our international Roman Catholic Women Priests’ Movement has grown to over 220 in 13 countries, 31 states in the U.S. serving 81 communities. The Spirit is moving and we are growing. 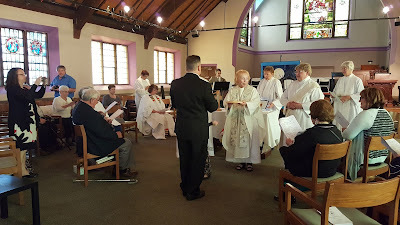 Who says there is a vocation shortage?! 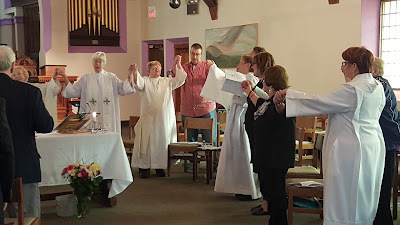 My sisters and brothers, like Mary of Magdala, the Risen Christ is calling us to be apostles today. As we live Gospel equality and partnership in inclusive, vibrant faith communities, our church is being reformed and renewed! 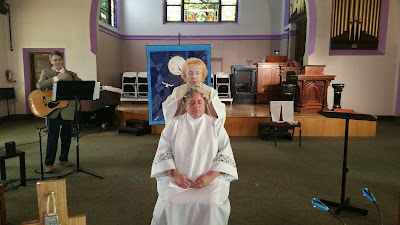 We don’t have to wait for the Vatican to act. Mary of Magdala did not wait for Peter’s approval. 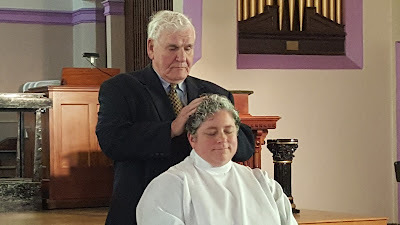 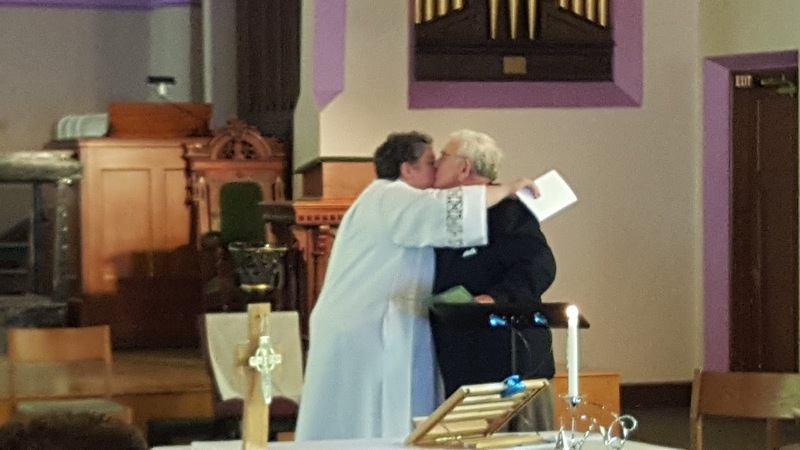 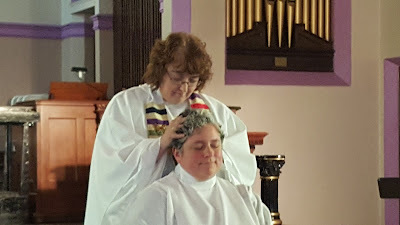 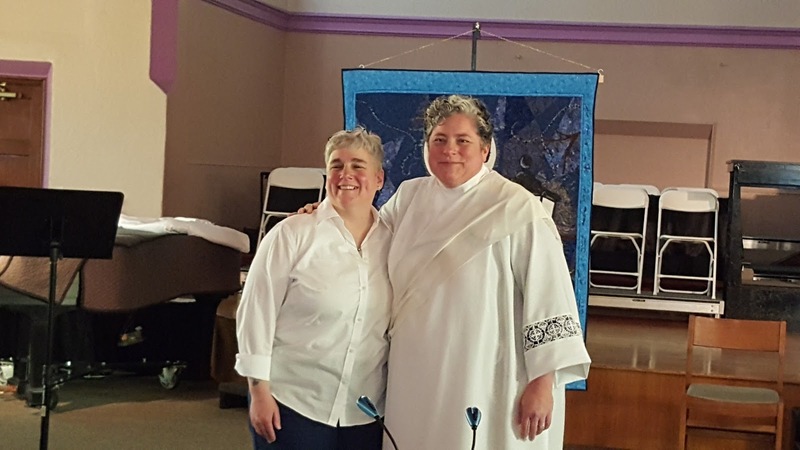 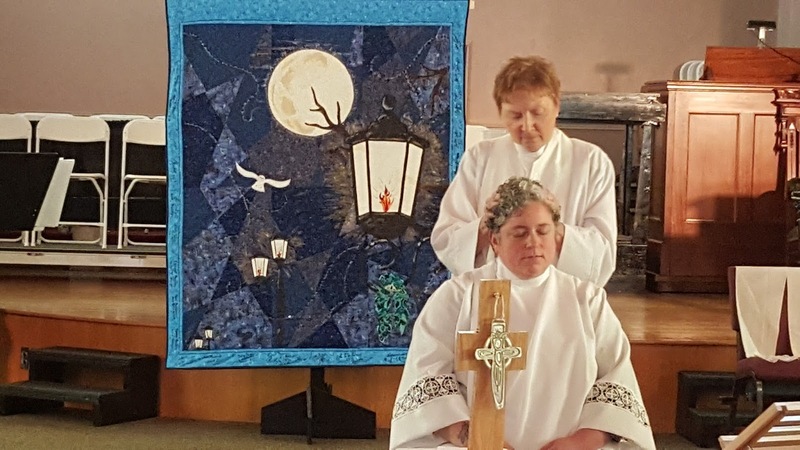 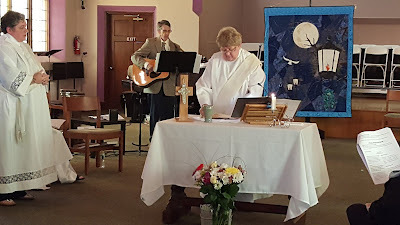 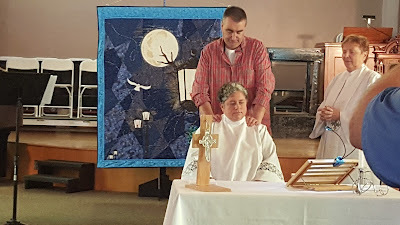 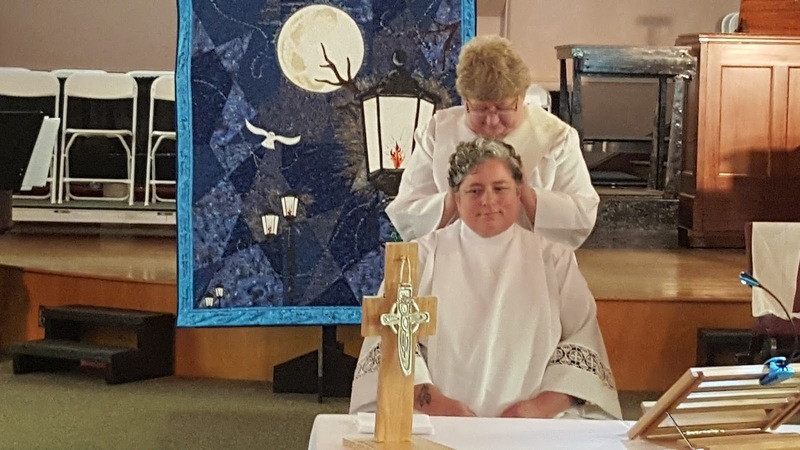 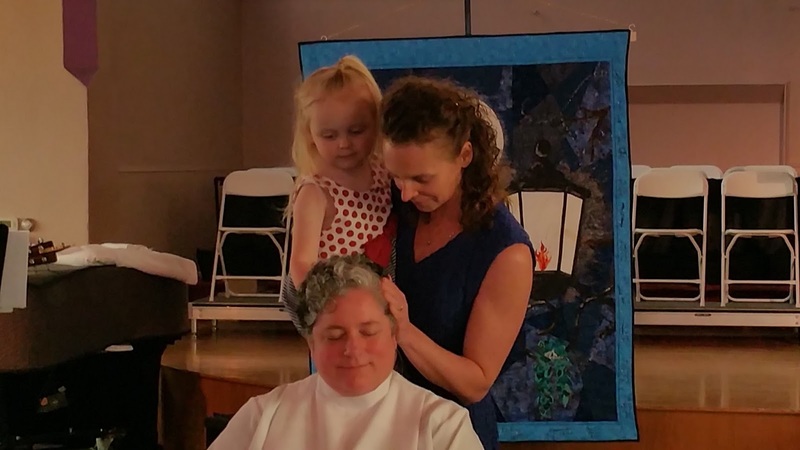 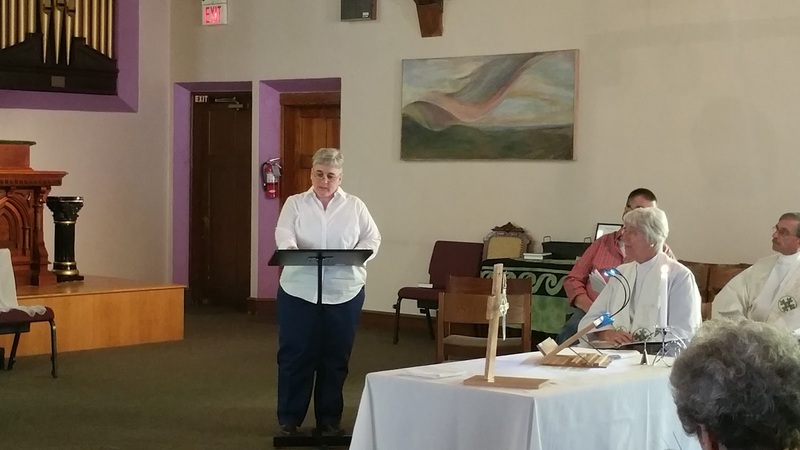 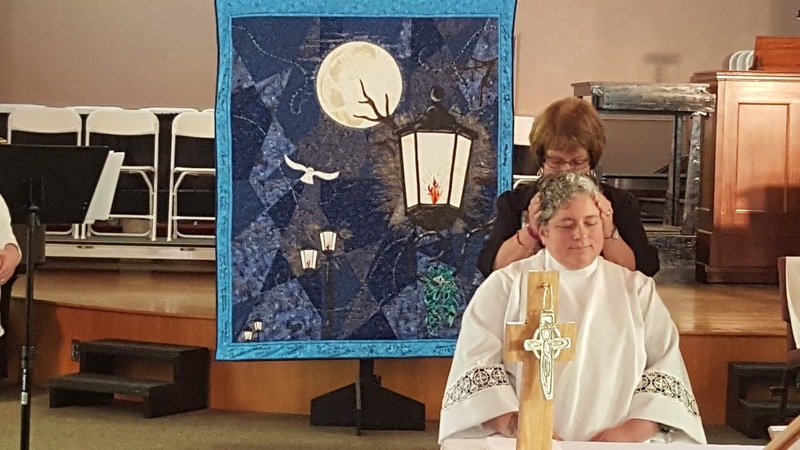 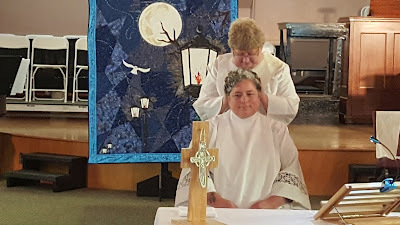 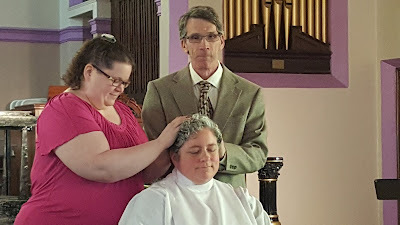 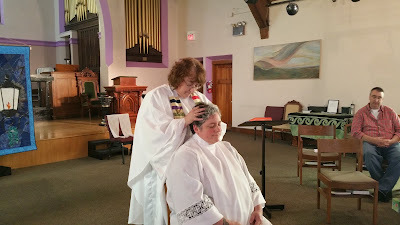 The good news is: justice, like a river is rising up in the Catholic Church today in New Hampshire as we ordain Kim Turcotte a deacon! 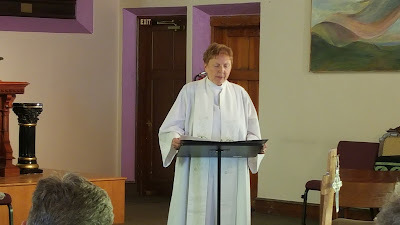 "Questions from a Ewe", Enjoy!